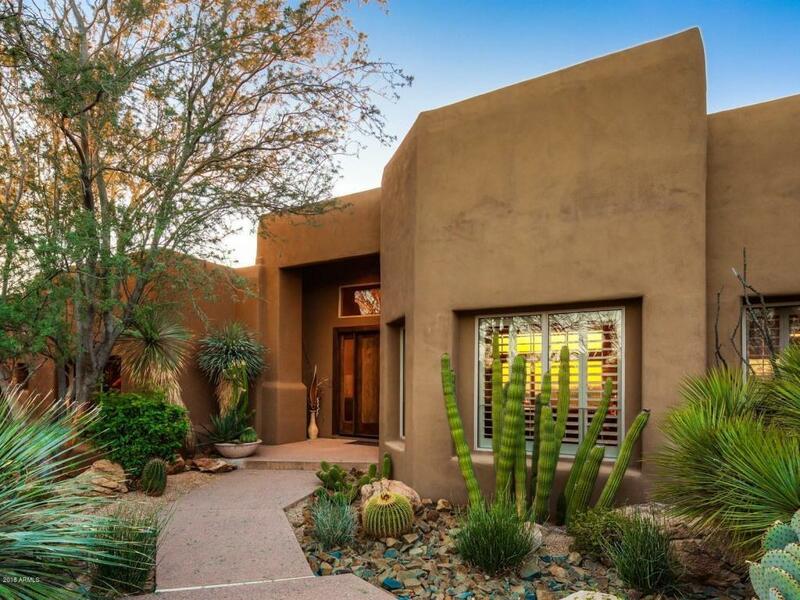 Charming transitional desert home featuring exquisitely landscaped entry courtyard and a resort patio w/ Arizona sunset vistas 365 days a year! Tall glass sliders from living, family, office and master provide light-filled rooms and seamless indoor/outdoor living. Two distinct livng areas: Living/Dining with high celilings, bar and generous wine storage; Kitchen w/ large Family Room provides inviting hearth-side seating. 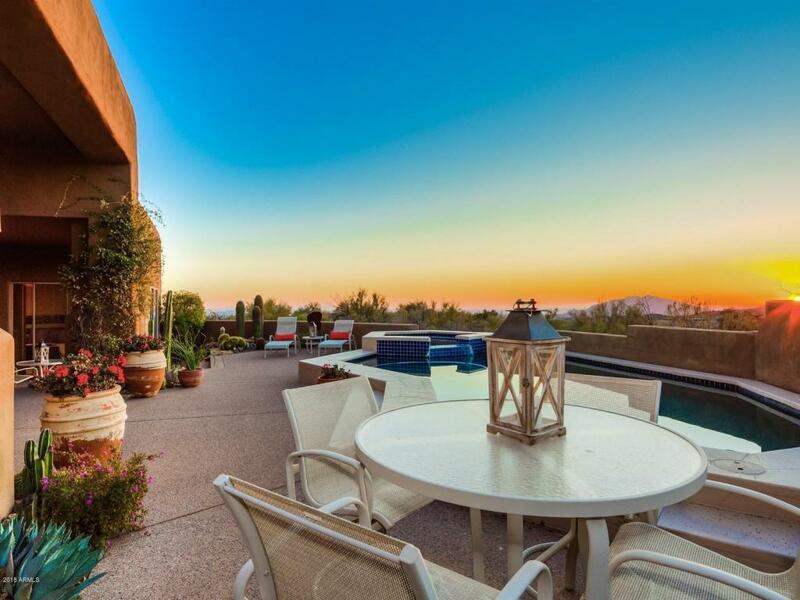 You'll love the pool-side master bedroom w/ spa bath and generous master closet. Handsome plantation shutters in many of the rooms gently filter the desert light. 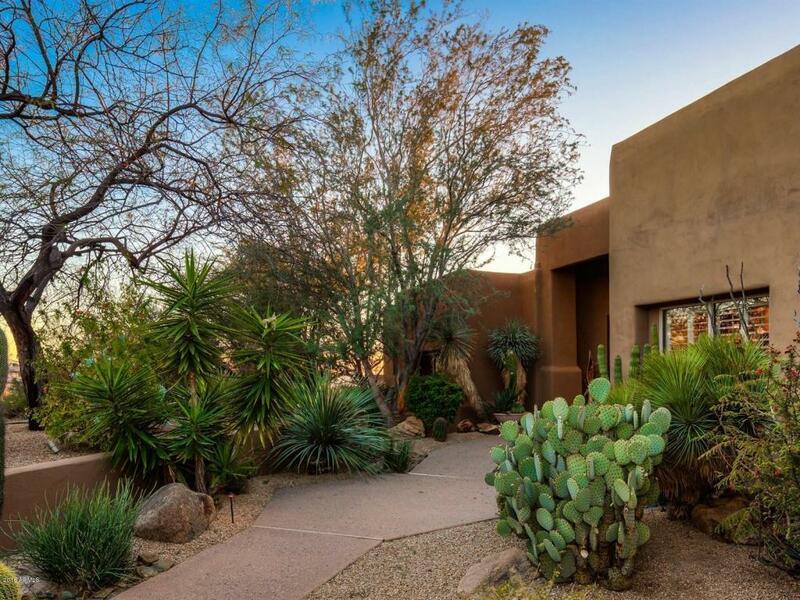 Three fire features including charming outdoor kiva. Three-car garage with plenty of storage. 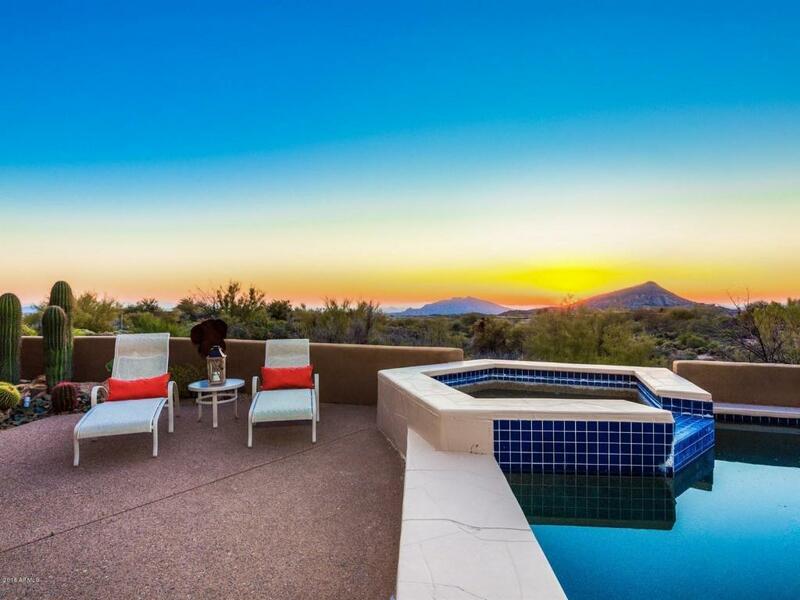 All in world-class Desert Mountain with 6 Nicklaus golf courses and endless amenities.